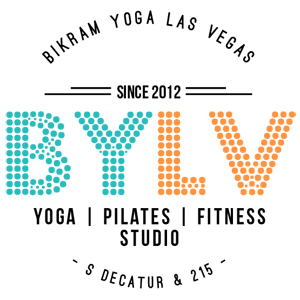 Bikram’s Beginning Yoga Class is 90 minutes practiced in a heated room. Class consists of 26 Hatha Yoga Postures and 2 Breathing Exercises. This class is designed for beginner’s but all levels of experience are welcome to attend. Prepare to Lose Weight, Tone Your Body, & Energize your Life. Challenging class, but it’s a great way to reset amd start your day off right!! George is a powerful, encouraging instructor. This class was filled with warriors led by an inspiring, motivating instructor that believes in you! Vladimir knew every student’s name (even mine) which was impressive and helped with getting feedback during class; he was energetic and taught a great 90 min class. The room was spacious and carpeted appropriately (as a bikram studio). While unfortunately there was a strong smell (perhaps studio needs a deep cleaning) that doesn’t exist in other bikram studios I’ve attended, you don’t notice once you’re in practice. I’ll be returning whenever I’m in town. Where do I begin? It went from 0 to 100 real quick, 100 being psychopath yoga nazi. As a visitor from out of town, I have never been to a more unwelcoming yoga studio by the time I left. Yoga is about honoring your body, and it’s disrespectful to criticize others and what they may be there for. I would never recommend this place to my worst enemy. It also smelled like mildew. Why is the room carpeted? Gross. Vlad was an interesting instructor. We were from out of town and he could not have been ruder. He criticized form and how people “couldn’t hang”. I would never go back to this studio and recommend you don’t either. I would prefer the smell of burning garbage to the smell of hot mildew that I endured for an hour and a half. Gross and rude!! Avoid!! Marie was wonderful with her tips, great with names and very motivational!! !